Freeman-Fishburn International, Act One Productions. 1971. Director: Warick Freeman. Music: Bob Young. 45(a) Columbia. D0-9486. 1971. Produced by Howard Gable. “As Long As Life Goes On”. (4:33). (Bob Young - Ted Ottley). (Quaver Music). 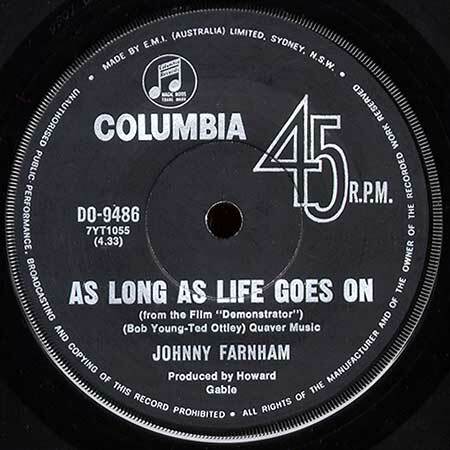 v: Johnny Farnham.